Nowadays, the autonomous industry is becoming more and more prominent. Self- driven cars are in the works of being developed while robotics are emerging within factories. What could be next? 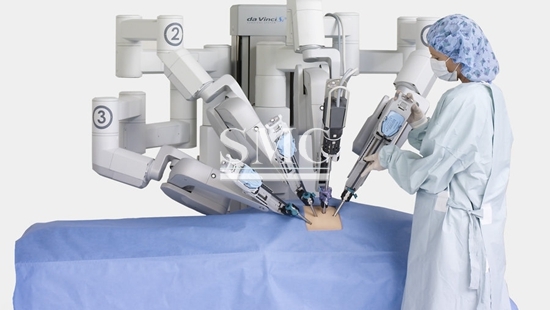 Automated surgery. Researchers at the University of Utah recently developed a computer-driven automated drill. Similar to the automotive parts used in machinery, this automated drill has the potential of playing a pivotal role in the surgical department. This drill can produce fast, clean and most importantly safe cuts. By doing so, this will be able to reduce the duration a wound is open and the time a patient is under anesthesia. It is probable for a complex procedure’s time duration to be reduced by more than half the original duration. For example, a 2 hour cranial surgery that originally takes 2 hours to complete can be preformed 50x faster with an automated drill, bringing the time to only 2 ½ minutes. This helps reduce the risk of infection, human error, and surgical cost. Many complex surgeries require surgeons to use hand drills for intricate openings and incisions, adding time to each procedure. Everything has to be done with precision and it takes time and patience. There was a need to develop a device that could alleviate the burden while making the process much more efficient. The technology and knowledge is readily available and has previously been applied to many other sectors, but never within the medial field. A.K. Balaji, associate professor in mechanical engineering was interested in producing a low-cost drill that will be able to do a lot of the extraneous work to reduce surgeon fatigue. The team then developed a drill entirely from scratch that was able to meet the needs of a neurosurgical unit. Also, they were able to develop software that has the ability to provide a safe cutting path. First, patients undergo a CT scan to help the doctor gather information regarding sensitive part of the brain such as nerves, arteries, and veins that need to be avoided. With that information, a cutting path is then developed for the drill to perform. The developed software is able to provide the surgeon with an optimum path. In addition, the surgeon has the option of programming safety barriers along the cutting path within 1 mm of the sensitive parts. The drill has the ability of removing the bone more accurately and faster than human hands. It doesn’t stop there; the drill has an emergency switch that monitors the facial nerves for any sign of irritation. The team is researching ways and opportunities to commercialize this drill and to express that this drill can be used for other surgical procedures.